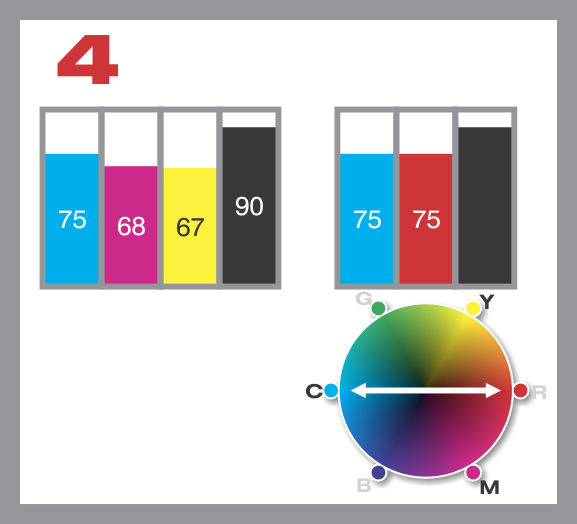 What kind of black should I use when designing for CMYK print? explains what rich black is, but when should it be used? 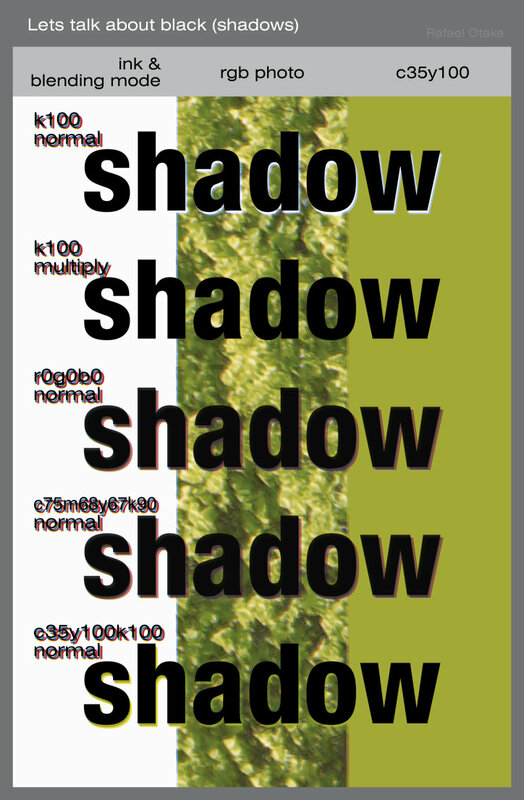 If it gives a "blacker black", why not use it for all black elements in a CMYK job (body text/line art/tints)? Would there be any downsides? 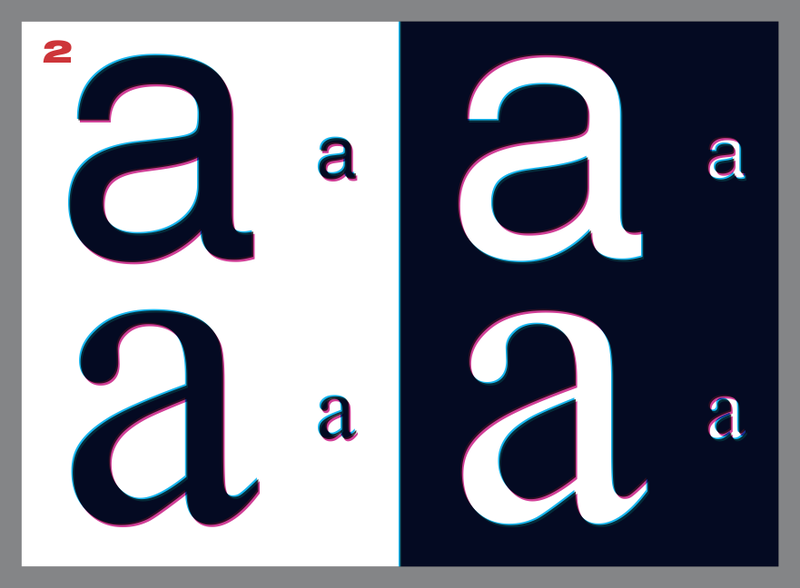 This is more of a community wiki sort of question, but the obvious problem is that with super-fine lines (small type sizes etc), your type may at the very least become fuzzy because of the dot screens used to compose CMYK. At the worst, the plates are misaligned slightly and you get color halos. I have seen both in print. Shifted plates are always a concern in smaller elements. But there really isn't any advantage to rich black in small elements anyway since you won't notice the difference (except when there's a problem). The bigger issue to be mindful of is overprint vs knockout. If you'll be using your black over photography at large sizes you have to remember that black is overprinted. A straight black is translucent, thus, will be effected by the photography beneath. Rich black not only gives you greater depth it also knocks out the colors you use in your black wherever it overlaps other colors (such as photography). This can give you more even color in headlines or graphic elements. The risk is, again, mis-registered plates: You could end up with halos around those elements. Bottom line: If you trust your printer, rich black can create a nice effect on larger elements. I use rich black when ever there's more than an eighth-inch of area to cover. What that means if large type with thick strokes or area of solid black call for rich black in my opinion. I never use rich black on body text or small elements. I don't believe there's a "rule" or practice for when or when not to use rich black. It's all merely designer choice. The only no-no is you never want to use rich black on areas of paragraph text unless it's a solid k overprinting a color (that would qualify as a rich black, but the type is merely set as black). Rich black should never be used on small text or strokes because of registration between the colors on the press and is a easy way to make your pressman not like you. Single color black shouldn't be used for large coverage areas because of consistency in the black across the area and the depth of the black could be lighter than a rich black. This is especially true if being printed in a gang run on an offset press. 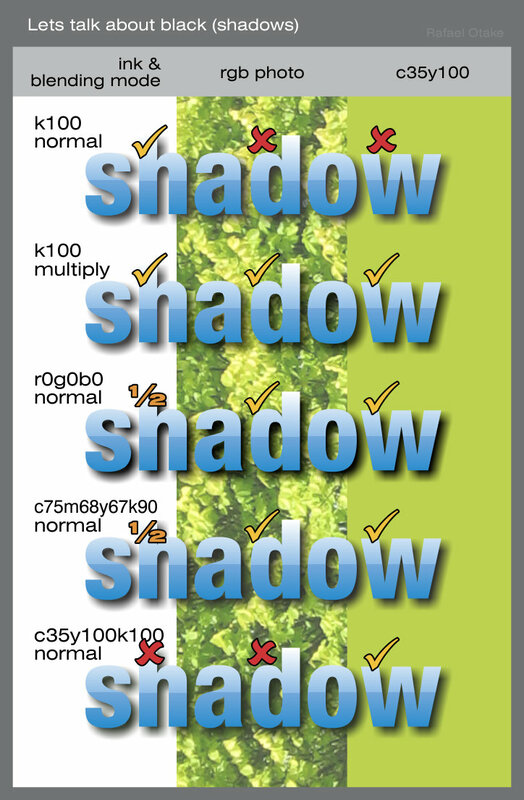 Banding can occur depending on what other elements are being printed in line with the black area in question. They could cause the black to be lighter or darker in areas that align with it, depending on the elements color makeup. Rich black can also cause issues when you have white texted reversed out of it. The smaller/thinner the text the more issue you may have. This too is related to registration. If the magenta plate gets slightly out of register, your white text will become pink. This can be avoided by using pullback trapping. In which the software removes a specified amount of the c, m, and y from around the text. Which gives room for error in registration. 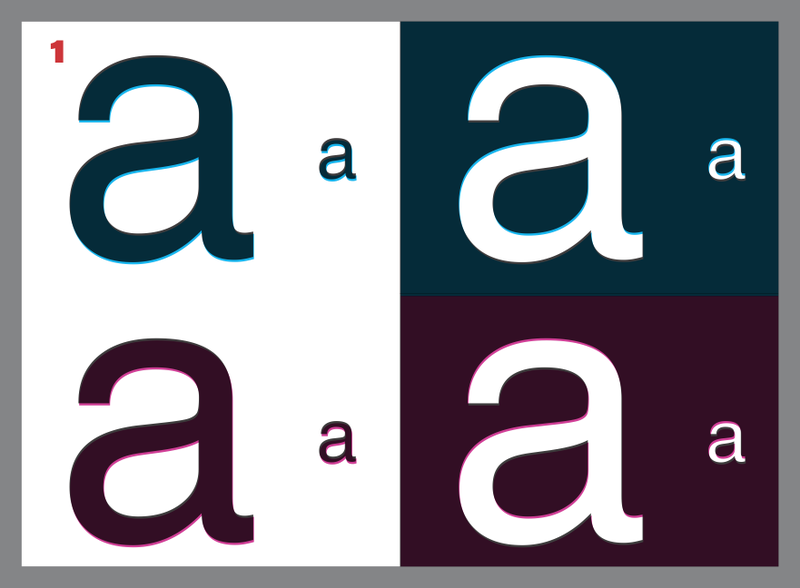 So why not use pullback for the text and thin strokes? Because they are too thin. By the time the pullback is factored in, you will no longer have a rich black stroke or text because the c, m, and y will have been removed. You now have a single color black stroke, but you've wasted a lot of time/energy. Pullback trapping may not be available to you, depending on the software you use. It is usually a feature in high end RIPing software. Which has all kinds of trapping options (as well as a host of other useful features). If you have the patience/skill, you can replicate this in your design program, but it can get painful/time consuming, depending on the project. I found a lot of pressmen have a preferred rich black mix that they like to print. At one of my previous job, they like 60/40/20/100, but at another job they preferred 30/30/30/100. If you use the same printer all time, it might be worth a conversation with him/her; for other reasons than the mix of rich black. If given the opportunity, most pressmen will be more than happy to answer questions and give suggestions, IF it makes their job easier. You should apply the same rules to digital printing as mentioned above for offset, as they all still apply. Getting a "blacker" black is just one of the advantages of rich black, it also helps to reduce banding, especially in modern digital printing processes, but also in lithographic print, and it tends to dry faster for large areas of print where litho inks are used... seems to not really make sense as rich black will have more ink coverage. but solid blacks seem to take days to dry. 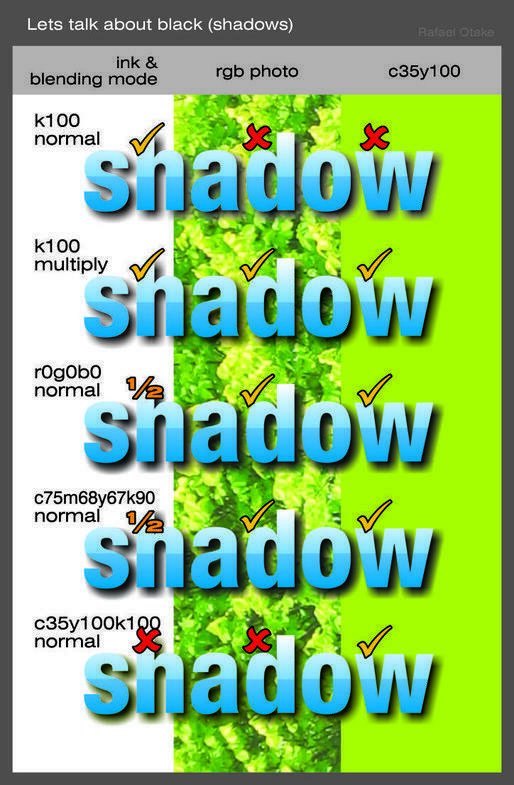 As other answerers have noted however, it isn't a great idea to use multiple process colours on type or small areas of black as the advantages are drastically reduced because of the low coverage and you get the added risk of plates being slightly out of alignment and getting blurry text or magenta / cyan halos around your text. Even with some digital print processes on type you'll get the same problems because of the way dots are laid down onto the paper in quite rigid lines. This answer became a little complex because there are different factors involved. So it is not a straight answer, but a series of cases. The size of the black element. You could use rich black on a big element but not use it on a small one. How this element interacts with another element. For example, you could need a rich black background interacting with a black photography. Where you are using photographs or gradients or not. The quality of the press, of the registration. First of all, what is rich black? Normally in a full-color print, the black used is not a "deep black" but a washed one, a grayish one. So rich black is adding some more ink to obscure it. 1) Old, pre-digital era values. One old type of rich black was adding some cyan. Only one additional color because it was easier to align two colors than 3. Why adding some cyan to the black, and no magenta? Because magenta casts a very dominant color to the mix. Besides a registration problem with cyan and black is less noticeable than magenta. Is more evident in small letters, more on serif fonts and even more on white over black. So you have to decide what is the minimum size you can handle. 3) But let us forget a little of the registration problems. One big reason to use rich black is where you can compare other blacks and see that some are really black and others are not. If you have a photo with a black rectangle next to it, the color (and the image) need to match in colors usage. The combinations of C+k and C+M+K does not work (b,c) because you can cast a color that is more visible when you have shades. If you need to do this you probably need to edit the curves to reduce the cast. But I prefer just using them, which I call the "profile black" (d) and my images need to be converted to black and white desaturating them, not converting them to grayscale (e). I never, ever use the "old values" anymore. 4) What is this "profile black"? 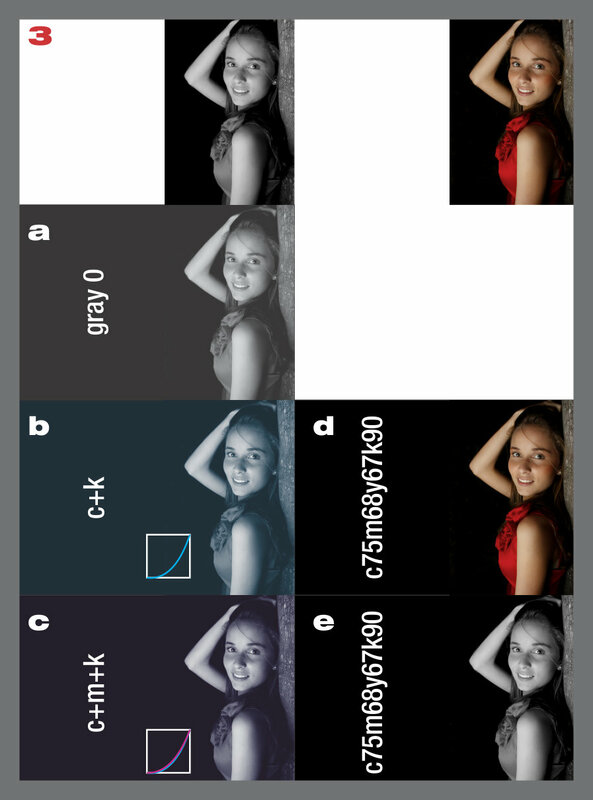 It is the resulting CMYK values after converting an r0g0b0 bitmap with a specific CMYK profile. The values I am using, c75m68y67k90 are of the SWOP2 profile. This is different from Gracol, Fogra, etc. But in general terms, the combination is like 3/4 cyan, some less percentage of magenta and an equal amount of yellow, and not pure black. The magenta and yellow are a bit less than cyan but you have two inks that become red. And this red+cyan neutralize each other. You do not have pure black to improve ink adherence. Using some examples of how to add a shadow to an object, we can have different ink values. k100 using a blending mode multyply. Or using the same values as a flat color below + black. At first sight, they all work, they cast some black on the print. But analyzing how the cyan plate reacts to the values we see some problems, mainly that this background color starts to disappear. So not all black combinations work when interacting with a background. With this same black combinations, we can have some white lines when we have registration problems, between two colored zones. So we need to choose a correct color combination. 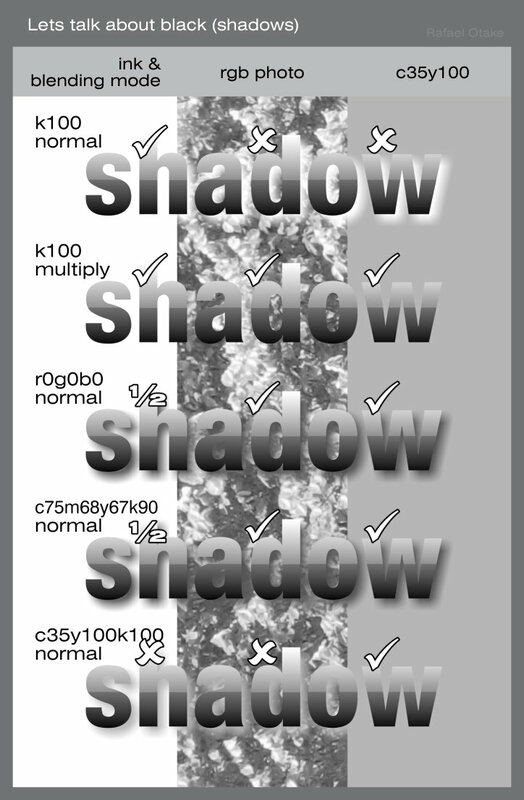 Using a k100 with the multiply blending mode works similar to using an "overprint" option on the black plate. Overprint is not necessary the same as rich black but is very similar. Besides obvious quality issues, brand, etc. Some big machines have some registration problems because of a small deformation on the center of the sheet. In general, if you work with a better quality equipment you can use rich black on smaller elements. P.S. You do not use all colors to 100% because they will sum 400% of TAC. This will create problems like the inks not drying and making smudges and a mess on the next sheet of paper. Not the answer you're looking for? Browse other questions tagged print-design cmyk black or ask your own question. Why would a solid black lead to offsetting? Should I work in CMYK when printing shirts using Direct-to-Garment (DTG)?